Donald Glover’s award-winning television show, Atlanta, has officially begun production on season 2. Film crews for the second season have been reportedly spotted around ... Atlanta, of course. According to Atlanta magazine, crews have been filming in the Mechanicsville section of Atlanta, as well as in East Point and Southlake Mall. Also, there have been casting calls for the series, so if you’re a “tanned” or “trashy” Caucasian, there may be a small role for you. 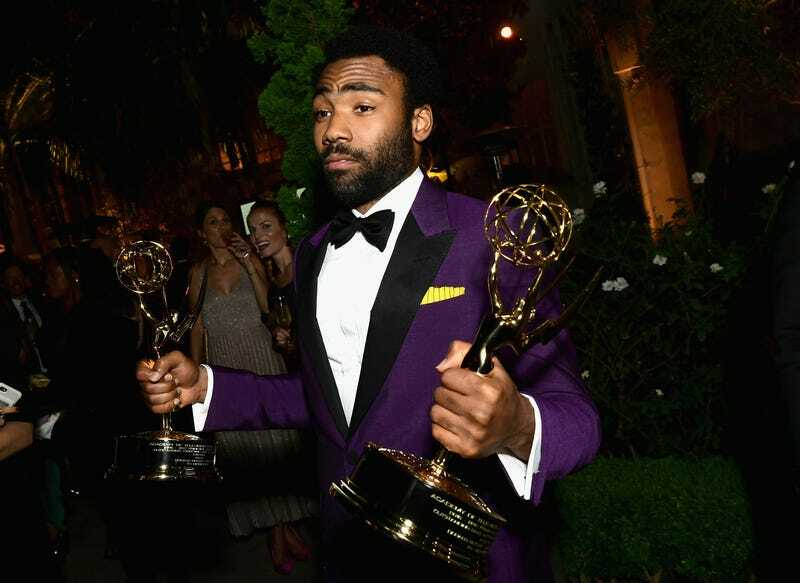 Earlier this month, Glover made history when he became the first black person to win an Emmy for Best Directing for a Comedy Series and also took home an Emmy for Lead Actor in a Comedy Series. The series also received a Peabody this year, in addition to accolades in many positive reviews. Season 2 of Atlanta is set to premiere in 2018.